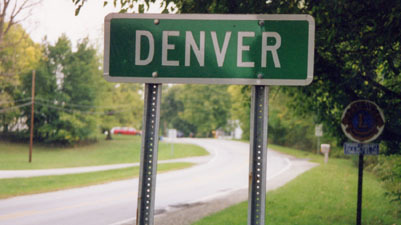 I was born and raised in Denver, Colorado, but I enjoy seeing other places named Denver. 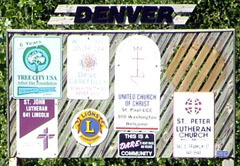 This map shows the locations of all communities in the US called "Denver". 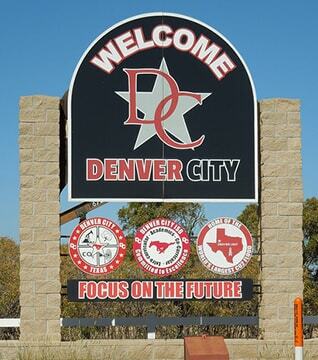 I was surprised to learn of a town "way back east" (from my perspective) that was named for my western city. 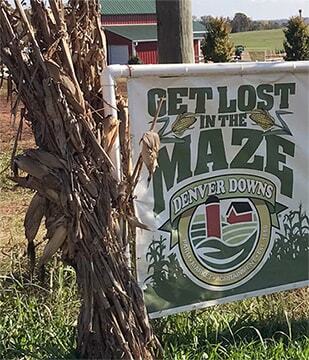 At least that is how this sign told the story; however the history given on Denver Borough's website does not say their town was named after the one in Colorado. 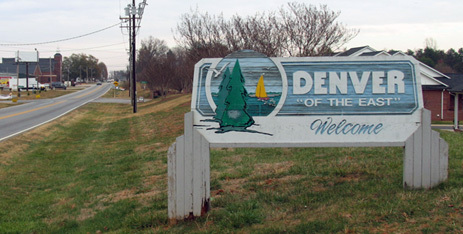 Denver, Indiana, was probably the liveliest town of the bunch. 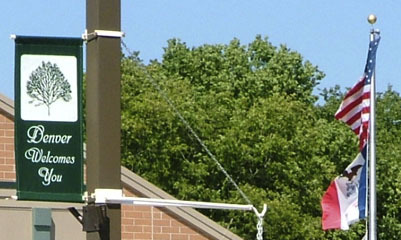 Certainly the largest, with a population of over 400. 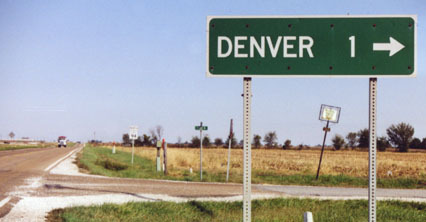 I went north from Logansport on highway 25, and used highway 16 to get to Denver. 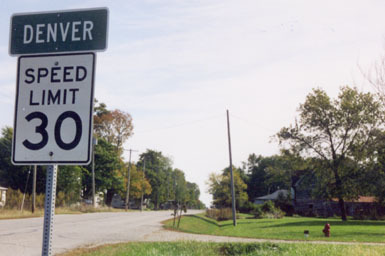 It was a very narrow road, which I doubt would even qualify for official highway status in most states. I think I remember a pretty neat church building there. 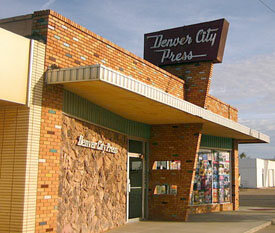 I definitely remember "The Denver Hot Spot", which appeared to be the one store in town. They were proud of all the services they provided: the sign there said something to the effect of "Get a tan -- get a pop -- all in one spot!" 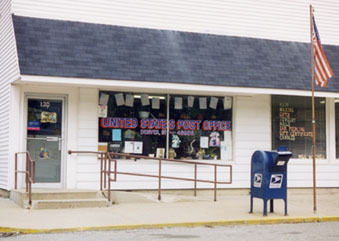 The post office occupied a storefront right on Route 16 (the main road through town). 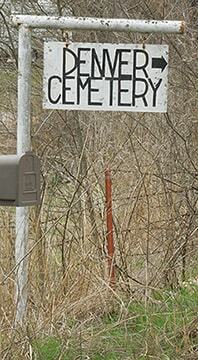 After my visit, I continued east on that highway. It was a pretty drive: in Stockdale, there was an old mill on the Eel River, and just down the road in Roann was a covered bridge. 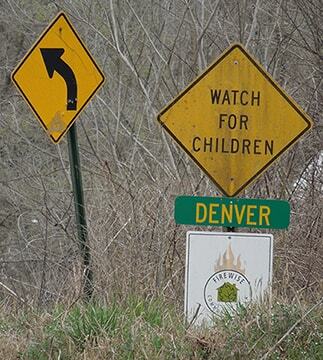 The circle on the right read "Denver Unit: Home of the World's Largest CO2 Flood" (as in carbon dioxide -- I am uncertain about the significance of that). last updated Apr. 5, 2018.